Billed as a “lost album” composed of tracks that had their genesis in the ‘90s, IDM statesman Mike Paradinas’ (a.k.a. 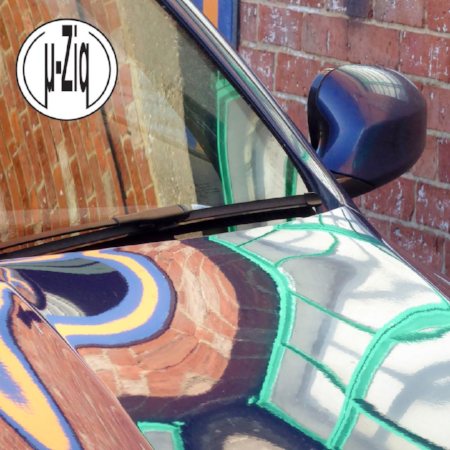 μ-Ziq, pronounced “music”) latest album that feels comfortably unstuck in time. Challenge Me Foolish is a grab bag of every style that brought him to the forefront of electronic music both as an artist and as the curator for his acclaimed label, Planet Mu. The opening track “Inclement” features a playful acid inspired squelchy synth line throughout which segues right into a casual drum ‘n’ bass track punctuated by bells and icy synths. The drum ‘n’ bass that nearly defined late-90s experimental electronic music is present front and center on the album, but perhaps in a sign of Paradinas’ slowing down as he ages the explosive drill ‘n’ bass sound of that era is replaced with more relaxed rhythms. The rest of the album is made up of playful tracks like “Durian” and “Perhaps” that show a sunnier side to a genre of music that is more often seen as cold and esoteric. Throughout their tumultuous existence, Soul Coughing was perhaps the most original band in popular music. Formed within The Knitting Factory, New York’s hot spot for avant-garde jazz and experimental music in the ‘90s, Soul Coughing brought a virtuosity and artiness to alternative rock that hasn’t been seen since. Their 1994 debut Ruby Vroom is the album that cemented them as true originals. The Soul Coughing sound consisted of punchy guitar, vocals delivered as surrealist slam poetry, double bass, jazz-inflected drumming, and sampling at a time where samples were all but unheard of in any genre outside of electronic and hip-hop. The sheer inventiveness of the arrangements on Ruby Vroom is impressive in that they were able to sound so brazenly avant-garde while still remaining accessible enough to have singles chart in mainstream presses. “Bus to Beelzebub” revolves around a swirling sample of Raymond Scott’s “Powerhouse,” “Screenwriter’s Blues” is a horn-driven ode to the starry-eyed teenagers looking for their big break in Los Angeles” while “Down To This” is a hot slice of postmodern Chicago blues featuring a sample of Howlin’ Wolf’s “Smokestack Lightning.” Unfortunately, the band had an incredibly messy breakup by the end of the ‘90s brought about by addiction and strong creative differences (to this day singer/guitarist Mike Doughty has been known to lash out at fans requesting he play Soul Coughing songs). Regardless, Ruby Vroom will always remain one of my personal favorites and a true gem for those looking for something different.